For years, experts have told you that "calories in, calories out" is the weight-loss solution. THEY WERE WRONG. Stunning new science has shown that certain calories do not need to be counted--EVER! 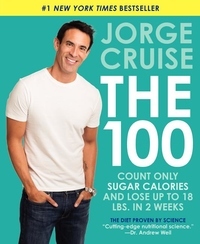 This updated paperback edition, including all new recipes, will teach you to distinguish the calories that matter from the ones that do not, and will show you why counting 100 Sugar Calories promotes weight loss, helping you to lose up to 18 pounds in 2 weeks and keep it off. It's time to see where dietary science is today.